In celebration of International Women's Day, WITI and Autodesk present a fireside chat featuring Gina Cody and Diana Colella! As the first woman to graduate with a PhD in building engineering from Concordia University, Gina will share how she navigated the twists and turns of being a woman in tech. Spend the evening networking with professionals and participate in a Q&A with Gina and Diana. Space is limited; Register as soon as possible so you don't miss out! Gina Parvaneh Cody emigrated from Iran in 1979 and studied at Concordia University where she was the first woman in the university's history to receive a doctorate in building engineering. In September 2018, Gina made a historic $15 million gift to Concordia University's Faculty of Engineering and Computer Science. In honour of her professional accomplishments and generosity, the faculty was renamed the Gina Cody School of Engineering and Computer Science. It is the first engineering faculty in Canada, and one of the first internationally, to be named after a woman. Gina lives in Toronto with her husband, a retired banker, and her two daughters. 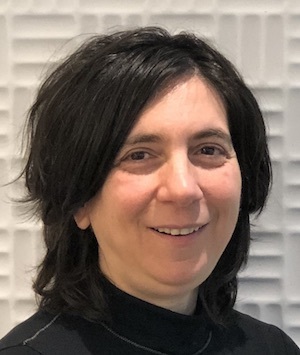 Diana Colella, VP of Business Strategy and Marketing at Autodesk, is responsible for driving the business results and marketing strategy for the AutoCAD and Media & Entertainment business. Diana has been with Autodesk for over 20 years in various roles. During that time, she has been responsible for product management, product design, worldwide support and services, sales and operations. Prior to Autodesk she worked at KPMG. She has over 20 years of software industry experience with extensive knowledge of go-to-market and industry strategies for the media & entertainment sector. She is responsible for $1b in ARR and has successfully transformed product lines from a perpetual to a subscription business. She is a change agent that has driven many transformations in the organization that push the boundaries beyond status quo. She is passionate about the development of female executives and is the executive sponsor of the Autodesk Women @ Montreal which empowers women at all levels of Autodesk to achieve their full potential. 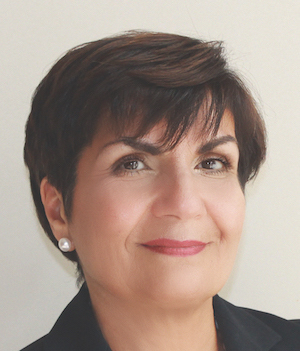 Diana holds a Bachelor of Commerce in Accounting, is a CPA and obtained her MBA at McGill/HEC University.